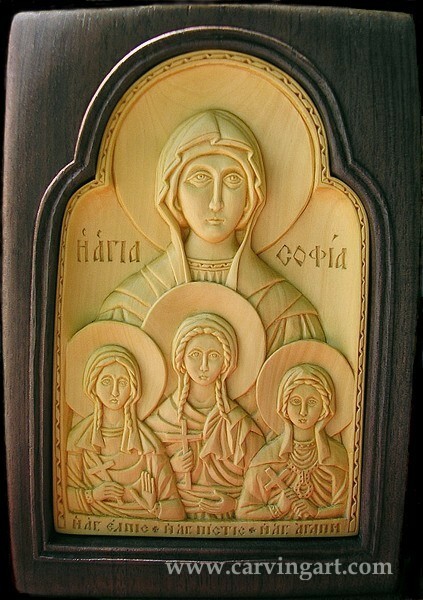 The icon shows St. Sophia with her daughters Faith, Hope and Love. The yellow part is shimshir (box wood), and the brown part is black walnut. Both are just waxed, not colored. The inscription on the back is Corinthians 1:13. 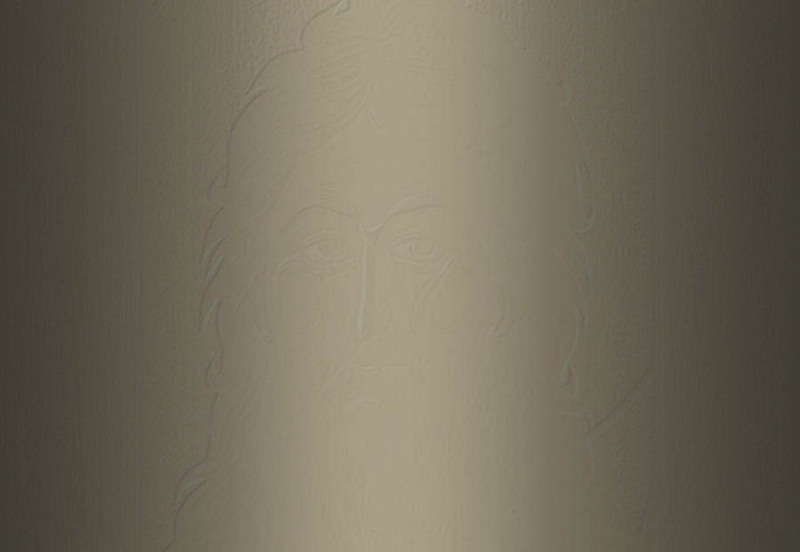 Click on the picture to see it, together with some details.